Dr. Deepak Shrivastava is a Professor of Medicine, Sleep, Pulmonary and Critical Care. He is a senior faculty at Sleep Medicine Fellowship Program at UC Davis, School of Medicine. He is the Chief of Sleep, Critical Care and Pulmonary Services at San Joaquin General Hospital, an affiliate of the UC Davis. He is an Adjunct Professor of Pharmacy at University of Pacific, School of Pharmacy and Associate Professor of Medicine at St. George�s School of Medicine. He is an Assistance Professor of Medicine at School of Osteopathic Medicine in Vallejo, California. He is recipient of many Academic and Service awards including ISDA oration 2015. Recently, he has won medical director of the year, 2015 award at American Medical Directors Association. 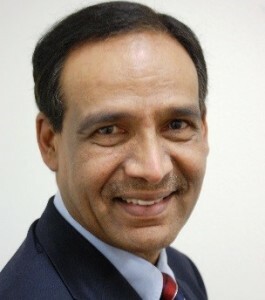 Dr. Shrivastava trained at State University of New York and University of California, Davis. He received Sleep Medicine training at Stanford University. He is board certified in Sleep Medicine, Pulmonary, Critical Care, Internal Medicine, Polysomnography Technology and Post Acute-care and Long-term care Medicine. He is an active researcher, inventor and has keen interest in medical education. His teaching efforts are known around the world. He is directly involved in the health care quality and performance improvement throughout his career. He actively works to influence health care policy at administrative and political levels. He is a Consultant to the Medical Board of California. He is a member of California Coalition of Compassionate Care, a state organization that sets the administrative policies for the delivery of health care and the end of the life care. He is actively involved in sleep medicine training of health care providers in the United States and abroad. He is founder and the director of the National Sleep Medicine Course. His FDA guided research in sleep apnea treatment compliance monitoring is notable for a breakthrough technology.